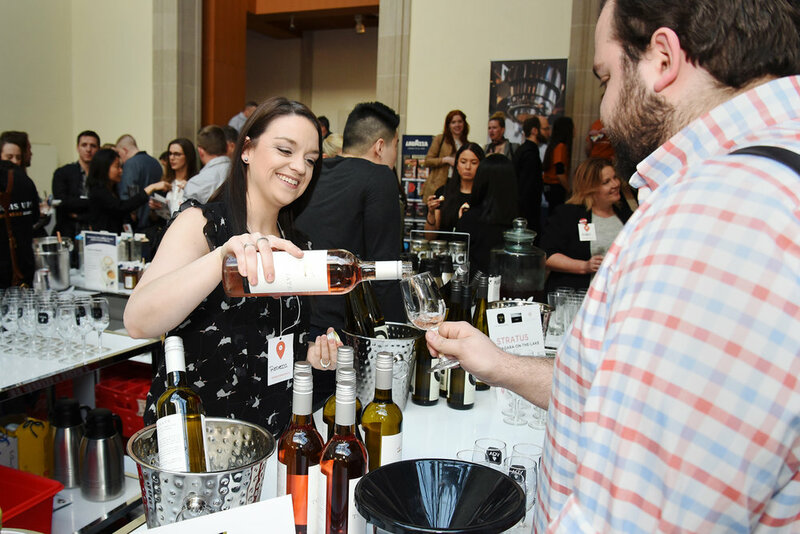 Throughout all Terroir 2018 festivities, we could not help but be inspired by the sheer diversity of what Wine Country Ontario has to offer, to the province and beyond. The fun began the day before the Symposium when speakers and media representatives were invited to Wine Country Ontario to experience the heart of the Niagara wine region. We are proud to say that Ontario’s cool climate and limestone-rich soils produce some of today’s most exciting wines and we want to shout it from the rooftops! Guests had the opportunity to meet the winemakers, experience the terroir, and learn why Ontario VQA wines are capturing the world’s attention. VQA Wines of Ontario were being represented by talented winemakers and sommeliers in almost all Terroir programming. Under the sea in Ripley’s Aquarium to among the vines in Norfolk County, we could guarantee you would not be without Ontario vino. For the big event (Terroir Symposium), Wine County Ontario was featured in two of our beverage master classes. In the architecturally-stunning venue of Galleria Italia in the Art Gallery of Ontario (AGO), long tables were prepped for deep-dive wine tastings and discussions. We learned about how our beloved Cab Franc is having a comeback within the province and beyond by wine heavy hitters, Master Sommelier, Pascaline Lepeltier and US based wine writer, Bryce Wiatrack. We also got a taste of complex wines created by women in a master class facilitated by inspiring women in the wine industry such as Okanagan Crush Pad’s Christine Coletta and Canadian wine Trade Commissioner, Janet Dorozynski. There were dozens of examples of unique, terroir driven wines being poured by passionate makers all day. Tastings featured key varieties including Chardonnay, Pinot Noir, Riesling and Cabernet Franc. In the words of Matt Kramer of the Wine Spectator, “Ontario wines are the epitome of cool climate, which puts them right on the cutting edge. I’m anxious to taste the latest, as quality keeps surging, seemingly with every new vintage”. We can’t wait to see what cutting edge vintages come next!